Shiva is present everywhere! As Adi Shankaracharya said,Forgive me Oh, Shiva! My three great sins! I came on a pilgrimage to Kashi forgetting that, you are omnipresent. In thinking about you, I forgot that You are beyond thought. In praying to you, I forgot that You are beyond words. 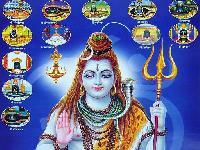 To sustain law and balance of nature Lord Shiva took many avatars in various yugas. In Shiv Mahapuran, there is a mention of these avatars, heres a look? 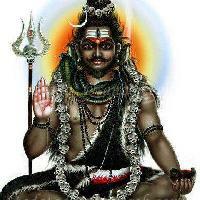 ",1.jpg,Avataars of Lord Shiva 16305,Piplaad Avatar,As per the legends, Shiva was born as Piplaad to sage Dhatichi. The sage left his son even before he was born. Upset without his father Piplaad asked the devas why my father left me. They told him that the unfortunate circumstances were formed because of the planetary position of Shani. On learning this, Piplaad cursed Shani and Shani started falling down its celestial abode. As per the legends, Shiva was born as Piplaad to sage Dhatichi. The sage left his son even before he was born. Upset without his father Piplaad asked the devas why my father left me. They told him that the unfortunate circumstances were formed because of the planetary position of Shani. On learning this, Piplaad cursed Shani and Shani started falling down its celestial abode. Piplaad forgave Shani on the condition that it will not trouble anyone before 16 years of age. It is believed that praying to this form of Lord Shiva helps people to get rid of Shani Dosha. According to Shiv Puran, Lord Brahma had named this avatar of Lord Shiva. Enter any Shiva temple in the country and you will first witness a statue of the quietly formidable Nandi, Lord Shivas mount and the divine gatekeeper. 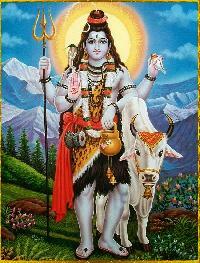 Lord Shiva represents all beings on Earth. 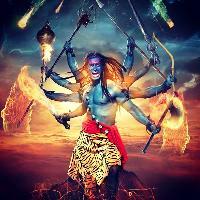 This avatar of Lord Shiva is an indication towards it. There are some temples which are exclusively built for Nandi. The famous Nandisvara temple in Karnataka is one such. As a primary Hindu God, Nandi is traced in lineage back to ancient dairy farmers that depended on cows for their main livelihood. As their foremost source of sustenance, Nandi was worshiped as keeper of the herds. In this form he was said to be bullfaced with a body much like his hallowed Shiva, but with 4 hands. Two hands holding axe and antelope, and the other two joined in homage. In this human form he is known as Nandikeshwara. Sati was the youngest daughter of Daksha, the king of all men. When Sati grew up she married Shiva,much to the displeasure of her father. One day Daksha made arrangements for a great yagna, and invited all the gods omitting only Shiva. Satis urge to go to her home due to the affection towards her parents overpowered the social etiquette for not going to an uninvited ceremony. Daksha insulted her and Shiva infront of others. Unable to bear further trauma she ran into the sacrificial fire. When Shiva came to know about this and with deep sorrow and anger, plucked a lock of hair and thrashed on the ground. Lord Veerabhadraand Rudrakali were born. Virabhadras believed to be the destroyer of Ajnana, his tall body reached the high heavens, he was dark as the clouds, three burning eyes, and fiery hair; he wore a garland of skulls and carried terrible weapons. 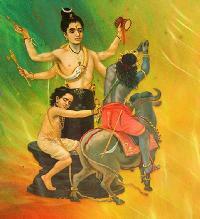 To provide him the power, arrived Bhadrakali, a wrathful incarnation on Devi. On the direction of Shiva, Virabhadra appeared in the midst of Dakshas assembly like a storm and broke the sacrificial vessels, polluted the offerings, insulted the priests and finally cut off Dakshas head, trampled on Indra, broke the staff of Yama, scattered the gods on every side; then he returned to Kailash. Bhairava, sometimes known as Kaala Bhairava, Kal Bhairab, Annadhaani Bhairava, Bhairon or Bhairadya, is the fierce manifestation of Lord Shiva associated with annihilation. The origin of Bhairava can be traced to the conversation between Lord Brahma and Lord Vishnu recounted in Shiv MahaPuran where Lord Vishnu asks Lord Brahma who is the supreme creator of the Universe. Arrogantly, Brahma tells Vishnu to worship him because he (Brahma) is the supreme creator. This angered Shiva who then incarnated in the form of Bhairava to punish Brahma. Bhairava beheaded one of Brahmas five heads and since then Brahma has only four heads. When depicted as Kala Bhairava, Bhairava is shown carrying the severed head of Brahma. Cutting off Brahmas fifth head made him guilty of the crime of killing a Brahmin(Brahmahatyapap), and as a result, he had to carry around the disembodied skull for twelve years and roam as Bhikshatana, a mendicant, until he had been absolved of the sin. In the form of the frightful Bhairava, Shiva is said to be guarding each of these Shaktipeeths. Each Shaktipeeth temple is accompanied by a temple dedicated to Bhairava.